The Midnight Review: Where Are The Oil Rigs? You constantly hear cries from the right discussing the administrations moratorium on oil drilling and how such actions will cause oil drilling to go elsewhere. You also here how America needs to drill more to reduce oil dependency. 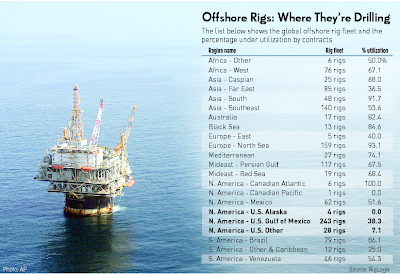 John Smithson had posted the following image from RigLogix showing the world's offshore rig fleet and the percentage of utilization by contracts. 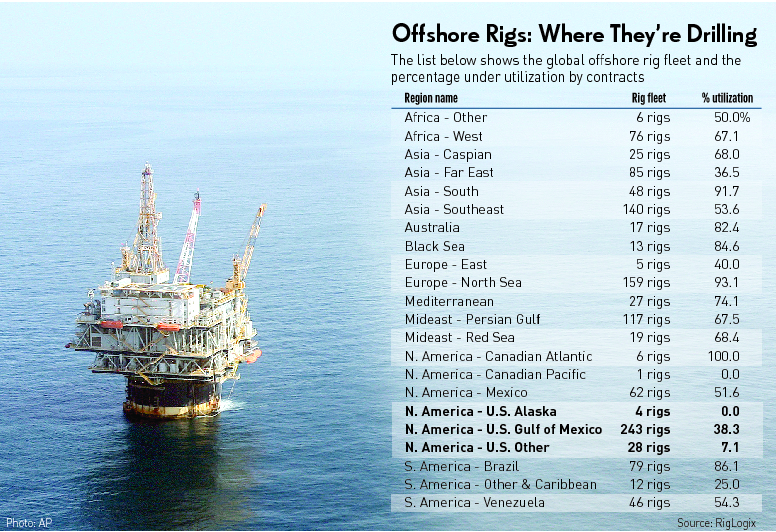 I thought it was interesting when you look at the quantity of rigs in the Gulf of Mexico.